At some point this offseason, I realized I wanted Nationals GM Mike Rizzo to sign the 5 foot 11 inch, 285 lb. (listed) Prince Cecil Fielder because of a promise he made to the fans of DC. This promise began with Jayson Werth’s monstrous contract just before the 2010 Winter Meetings. This was, essentially, a promise of more promises–a promise to be named later–the promise that Phase II would eventually morph into Phase III–contention. After Rizzo failed to bring Brewers #2 Greinke to the Nats (because Greinke wanted to win immediately)….after Rizzo failed to make a big trade before the 2011 trade deadline (at least we kept Storen)….and after Rizzo undervalued or refused to overpay for the services of Marke Buehrle, Nats fans were irritated. In between these failed acquisitions was the irritation that came with losing 2009 first round draft pick Stephen Strasburg to a human (who knew?) elbow injury and the well-known stories of Ryan Zimmerman, Adam LaRoche and Jayyyyyson Werth’s injuries/struggles in 2011. After a thrilling yet frustrating 80-81 2011 season came a reminder of how deliberately and patiently Mike Rizzo works behind the scenes. Just after the conclusion of the 2011 Winter Meetings, Nats fans were rewarded with the acquisition of Gio Gonzalez from the underspending clutches of Tyler Durden…er…Brad Pitt, er…Billy Beane. Sure, we lost a few top prospects and the bat of Tommy “Gun” Milone, but this trade should be worth it in the short run and long run for the ballclub. At this point in the saga of Phase II (last week), Nats fans should have been happy with the addition of a solid #2 starter to slip right in between Ace Strasburg and JZimm. But, in true Washington fashion, fans were split on the trade and on what to do next. On one hand we have “Team LaRoche and the Anti-Fielders” who believe the Big Vegan is too out of shape, too much of a wild card, and too expensive and risky for a 7-10 year contract worth up to 250 million. Their points are valid and hard to dispute if I turn my brain on. On the other hand, we have those who are holding firm to Mike Rizzo’s promise—let’s just call us “Team Fielder and the Vision of Phase III.” Sure, Fielder might block Adam LaRoche and his millions in unpaid salary from playing an average-to-slightly-above -average 1b with gold glove caliber defense in the 2012 season. 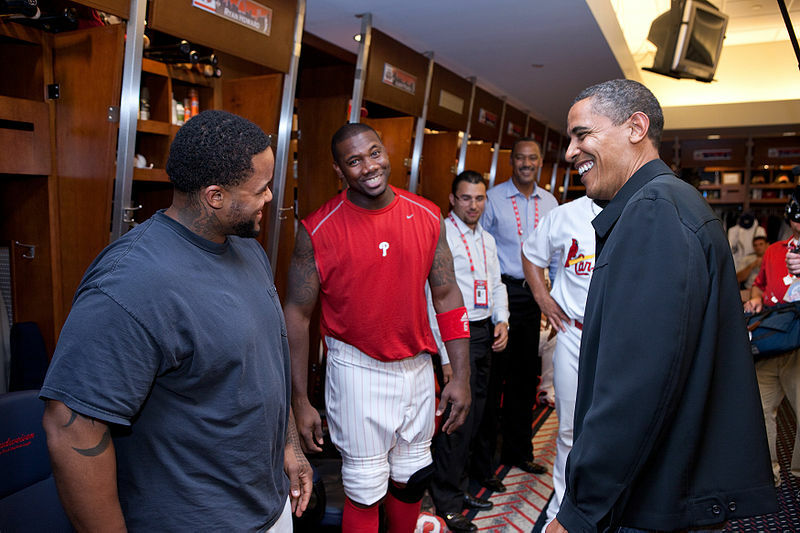 But, to Team Fielder—MY team–the Big Vegan represents what we all want. Nats fans want the big splash free agency signing, the media attention, the respect we so utterly crave and—at this point—justifiably deserve. My team wants Fielder because we don’t want him signing somewhere else. Childish, I know. 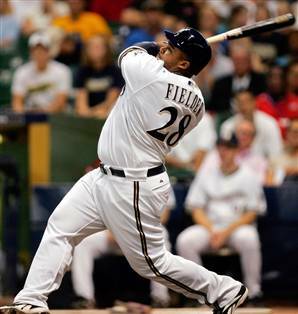 We want Fielder because with him we are contenders, despite our other failings at the CF position and leadoff spot. We want Fielder because we WANT HIM TO CHOOSE US FOR ONCE. We want Fielder because we drool thinking of a heart of the lineup consisting of Zimmerman, Fielder, Morse and Harper. My team is all heart–facts, stats and Fielder’s weight be damned. Natstown is a loyal fan base dying for a winner and dying to be chosen by a free agent like Fielder. We haven’t won on the field yet, so let’s win the Fielder sweepstakes. Let him choose us, Rizzo. Keep the promise you made to Jayson Werth in your super duper top secret Phase II wooing discussions and keep the promise his contract signified. Like many writers said, Gio should be followed by Fielder. The Nats should go all-in for 2012 because that is what I…err…I mean we…want. It’s our time down here in Natstown.